A Day in the Life of the Maui Wowi Franchise Owners - Part 2 from RainTree Franchise on Vimeo. 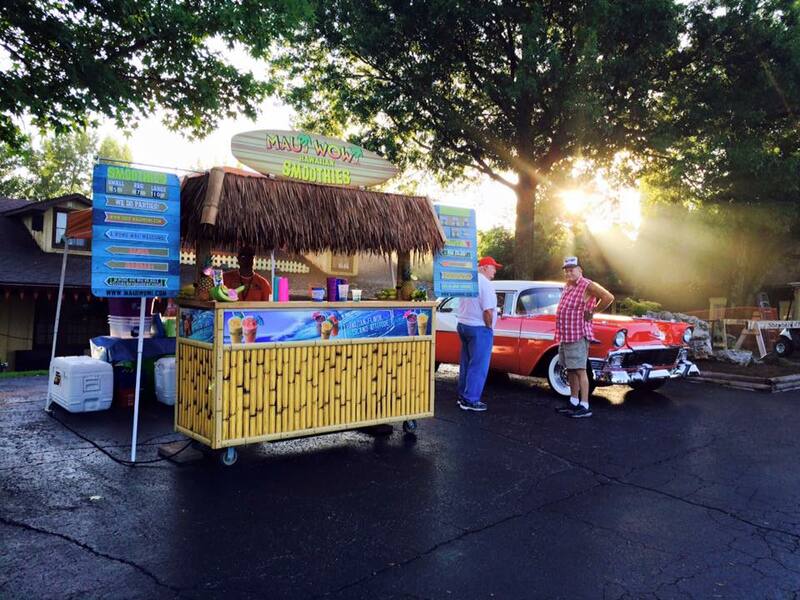 Maui Wowi is one of the hottest coffee & smoothie franchise concepts around and a leader in the mobile event business, providing customers with premium fruit smoothies and gourmet Hawaiian coffee at a wide variety of high-traffic venues. With our signature mobile cart (pictured above), a proven model for over 30 years, you can bring the product to the people at stadiums, arenas, convention centers, universities and everything in between. 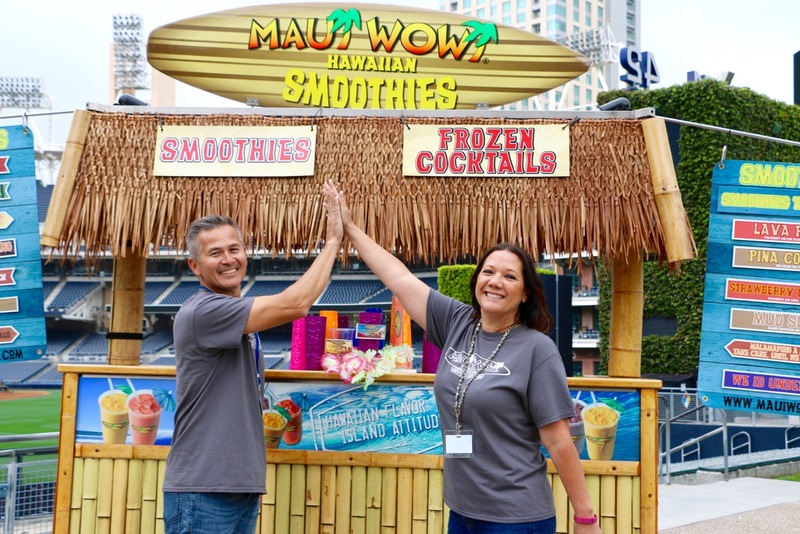 Maui Wowi has 450 units across six countries and continues to experience accelerated growth, spreading the Aloha Spirit at nearly 10,000 events per year! As a franchise system that offers a variety of business models, Maui Wowi’s mobile Ka’anaplai Cart has been hitting the streets for over three decades; long before the food truck craze. 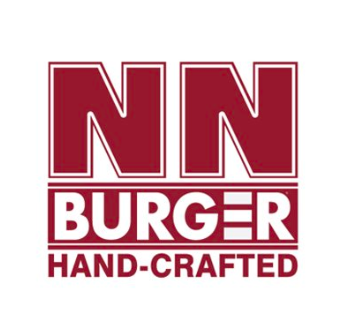 Its ability to be easily transported in and out of theme parks, stadiums, arenas, and more has allowed franchisees to spread the Aloha Spirit all over the country! What makes Maui Wow Unique? Flexible: As your own boss, you decide when, where and how often you work! With a simple dual product line and an event based business- it’s up to you! Scalable: With a modest investment (around $80,000), our owners can quickly open multiple mobile units in places like professional sports stadiums, arenas, convention centers and amusement parks. ‘Ohana: At Maui Wowi, there is an entire franchise system, or ‘ohana to help support your Maui Wowi business. Maui Wowi Hawaiian Coffee & Smoothies - Mobile Event is listed in the Franchise Directory under the Food category and the Retail category. It's also listed in the section for Franchises Under $60,000.